A potential revolution for the utilities industry is being led by advancements in smart home technology, real time data becoming available and evolving customer expectations. In a sector that is becoming increasingly digital, distributed and personalised, the door is wide open for truly innovative companies. View our key findings and meet the smart home consumers that emerged from our survey of over 2,000 UK households. Explore whether emerging technologies and services effectively address business needs, based on data from over 500 businesses and institutions. What do your customers really want now? Do consumers understand the potential of smart energy products to ease their busy lives and reduce their energy bills? We surveyed over 2,000 UK households to find out. Our research shows that 72% of people are unlikely to introduce smart home technology in the next two to five years. Nevertheless, of those who already own a smart device, the impact in the day to day running of their homes is significant. We believe this is because many customers still don’t really understand the range of smart energy products on offer, but that much like the adoption of smart phones and other smart technology - momentum will build at an accelerating pace rather than subside. The results provide insight for companies to understand what consumers want and how to take advantage of the ‘Internet of Things’ energy revolution in the home. View our key findings and meet the smart home consumer personas that emerged from our survey. What does the disruption mean for….? Disruption in the Power & Utilities industry has repercussions across many areas and affects multiple stakeholders. We have started to explore some of these impacts through a series of videos and blogs. What will be the impact on climate change, fuel poverty and communities? How will investment in capital projects and technology be affected and what are the cyber security challenges? Click on the boxes below for videos and blogs exploring each topic. The increasing role of distributed generation has led to investment opportunities in broader energy infrastructure, such as interconnectors and energy storage. 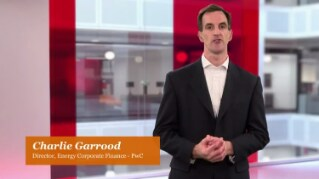 PwC’s Charlie Garrood covers this trend and the opportunities it presents for capital projects, as disruption in the industry causes the investor base to shift. Many of us are looking for more control and security with our energy. Connected Communities could bring the visibility and power that will help to balance the system. 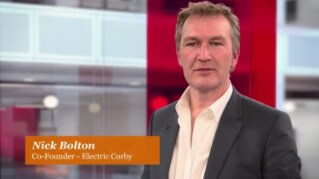 Nick Corby, co-Founder of Electric Corby, discusses how programmes like community energy and energy positive housing solutions could help support the profound market changes that are taking place. Smart meters and connected home products create new cyber challenges for utilities. PwC's Niko Kalfigkopoulos looks at whether utilities are doing enough and should customers be worried? Moving from a centralised to a decentralised energy model bridges the relationship between energy, people and places. This has re-energised the whole system. 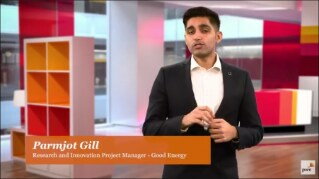 Parmjot Gill from Good Energy looks at how innovative suppliers can take advantage of the changing landscape by disrupting the traditional model - enriching people's lives as consumer demands and needs change. As a society, we must all recognise that energy is precious and looking after the environment is essential. By optimising our appliances and utilising smart technologies, we could achieve this balance whilst also ensuring consumer equity. 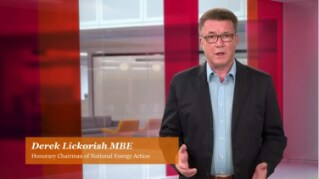 Derek Lickorish MBE from the Fuel Poverty Advisory Group explores the potential opportunity to reuse surplus renewable energy to provide electric heating for the fuel poor. Decentralised electricity has the potential to improve efficiency, lower carbon emissions and create a more flexible and resilient system. But is it really that straightforward for both consumers and B2B customers? 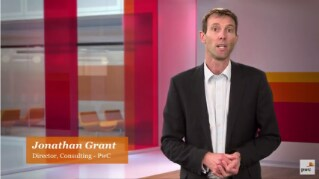 PwC’s Jonathan Grant discusses the opportunities and challenges that decentralised energy poses for sustainability. The Internet of Things is set to transform the home, with customers becoming familiar with an abundance of new technologies. There are many industries already taking advantage of this growing market. 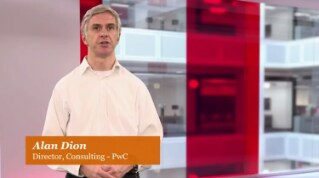 In this video, PwC’s Alan Dion looks at the significant risk this presents for traditional energy retailers. We surveyed over 500 UK businesses to understand their investment decisions in smart technology and the message was clear: utilities currently hold the power in the Smart Business Revolution and can take advantage of new revenue opportunities. The Connected Home 2.0 - what do your customers really want now? As the digital revolution advances, consumer attitudes, beliefs and intentions have continued to evolve. We explore how companies must reimagine the possible to stay ahead in the connected home. Against the backdrop of a rapidly evolving world, we surveyed over 2,000 consumers to understand their views and intentions to adopt technologies that have the potential to revolutionise the way we live within our homes. How will areas like poverty, climate change and capital projects be affected by the impact of our future energy system? The connected home is coming. Or is it? Through our research, distinct customer segments have emerged and we highlight what motivates consumers to adopt smart technology. How can SMRs contribute to the UK? There is a lot of talk about Small Modular Reactors (SMRs) at the moment. The United States Government has put money into development of specific technologies and has identified a site and the Chinese have stated that they will have floating SMRs built by 2019. The UK Government are holding a competition for accessing development funding to assess the future potential for SMRs in the UK. The Connected Home: Is It Anyone’s Game? Our work on the Connected Home has identified 10 different developments that likely represent the practical reality of the future of the connected home. Today we launch our thinking on the final five developments we have identified. We are on the cusp of a new age for the home. The spread of digital technology has changed how we interact with each other. Now it is beginning to transform how we interact with our home environment – more specifically, all the technology-enabled devices within it. The results of National Grid’s EFR auction were released last Friday, with battery storage making up all of the 200 MW of procured capacity. It was a highly competitive process with interest from a wide range of providers leading to low clearing prices. The solar industry is going through a period of transition following changes in government policy. Innovation will be a key aspect of businesses that succeed in the solar industry long term as industry players explore unique ways of thinking and bring new perspective on how they do business. The five global shifts reshaping the world we live in. PwC’s Digital Fitness Assessment app will show you where to engage & develop your business, plus understand the benefits of digital transformation and strategy. © 2015 - Thu Apr 25 21:45:32 UTC 2019 PwC. All rights reserved. PwC refers to the PwC network and/or one or more of its member firms, each of which is a separate legal entity. Please see www.pwc.com/structure for further details.